14 - Fake or Real!? 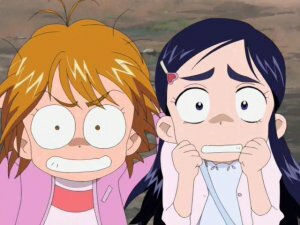 Impostor Pretty Cure on the Loose! 15 - The Extremely Dangerous Family Vacation! 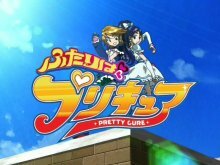 If the intro didn't give it away, there's not really much here for me to write about - PreCure is firmly stuck in it's mid-season-filler rut, and the Monster of the Week(tm) routine is very much in full swing. 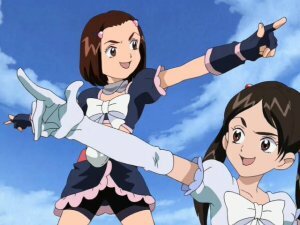 But then, this is a magical girl show, so would you really expect anything else? 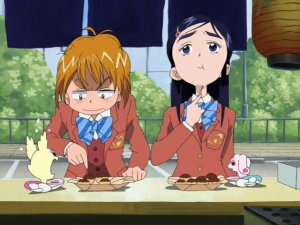 One thing I have noticed in the last few episodes is that Mipple & Mepple have been much more low-key than they were at the beginning of the series - and given that they're possibly the most annoying sidekick critters in all anime, that can only be a good thing.